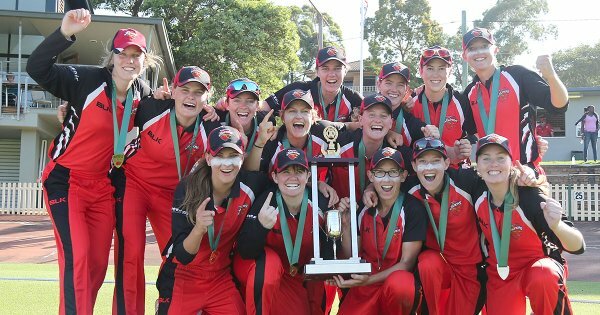 The South Australia Scorpions have been building for the last two years, and the time finally came to hoist the WNCL trophy on Sunday over arch-rivals New South Wales. From ball one New South Wales were chasing an 11th WNCL premiership on the trot, yet the Scorpions have been out to avenge their loss in the same game last year. After posting an imposing 264, the Breakers’ chase went along in leaps and bounds but ultimately succumbed to key wickets falling at the wrong time, being bundled out for 210. The dynamite recruit for the Scorpions has been England superstar bat and wicketkeeper Sarah Taylor. A plethora of runs (474) to her name also included two very important centuries, the latest being 110 in a 181-run stand with Scorpions opener Bridget Patterson in the final. Two wickets each to Lauren Cheatle and Laura Marsh helped the Breakers but didn’t deter the Scorpions, the damage being done with such a significant partnership. Naomi Stalenberg (58) was the Breakers innings builder but came in after Alex Blackwell, WNCL player of the tournament Perry and Alyssa Healy were all back in the sheds. Scorpions captain Lauren Ebsary and fast bowler Megan Schutt were on fire in the field early to assist with dismissing Rachael Haynes (15) and Blackwell. South Australia dropped just one game during the WNCL season against the Australian Capital Territory, and put New South Wales away earlier on. Team culture, performance and attitude has skyrocketed since the start of the 2014/2015 season, where Victoria Spirit handed the Scorpions some hefty defeats in round one. From there, a couple of big wins helped them into the final against New South Wales, knocking the Spirit out from their traditional spot. Finals was the aim in an emotional rollercoaster for South Australia post Phillip Hughes’ passing, which in fact spurred the team on to achieve its goals. As the competition grows so has the performances, and the Scorpions delivered on their pre-season promise. Last season Ebsary said the spread of both white-ball competitions was even after the ACT and Queensland battled it out in 2013/2014 in the Twenty20 final, and her words have been vindicated. It helps set the tone for future WNCL competitions, an indication it is just not just a team of champions who take the prize home.